Since its beginnings in Austin in 1991, Liaison has provided onsite creative services and marketing operations to Austin area companies including AMD, Freescale Semiconductor, 3M, Dell, and Tokyo Electron. We specialize in the advertising, marketing and technology industries with full-time employees working onsite at our client’s offices in Texas, Colorado, Minnesota, Arizona and Tennessee. Some of the positions that we seek top-talent for are: - Marketing Communications Project Management; - Online Marketing Management; - Web Project Management; - Print Design and Production; - Marketing Copywriting; - Video Production; - Web Design & Development; - User Experience Design; - Events Management. Liaison offers a full employee benefits package which includes 100% Liaison-paid PPO medical and dental insurance, paid vacation/sick and holiday leave, 401k program with company matching, short- and long-term disability insurance, (and some cool parties throughout the year!) 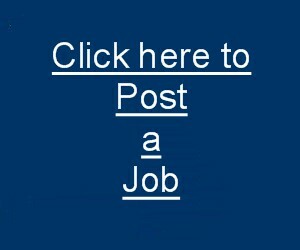 Please visit our open positions at: http://www.liaisonresources.com/jobs. Liaison has an immediate, full-time opportunity for a mid-level professional with experience in media buying and digital ad management to support our new client in the energy sector. Our client has been one of the 50 fastest-growing companies in Austin 9 years in a row and is consistently ranked as one of the top places to work in the city. Our Jr. Media Buyer will help build and manage digital ad content, manage vendor relationships and media buys, facilitate and traffic the development of creative development, and maybe even write some copy. This is a great opportunity for a junior to mid-level media/marketing professional to jump start their corporate career. NOTE: We’re looking for someone who’s done stuff like this before. There’s no time for on the job training, so only professionals with related experience will be considered. - Work with partner agencies on development of creative copy. - Minimum 3 years of professional experience in digital ad management preferred. - Experience creating and developing programs from the ground up. - Experience in managing agency resources. DETAILS: This is an ongoing opportunity to work directly for our client. Liaison is headhunting for this position and working with our client to select the best candidate for their open position. Details will be provided during the interview process. Sorry, no relocation benefits are available for this position. Candidates applying from outside central Texas should provide date-specific relocation plans in the “tell us more” section of our application. COMPENSATION: Based on requirement of approximately 3 years of related professional experience. BENEFITS: Full employee benefits package includes 100% Liaison-paid PPO medical and dental insurance, paid vacation/sick and holiday leave, 401k program with company matching, short- and long-term disability insurance and optional supplemental insurance coverage. Details will be provided at time of job offer. Please visit us at http://www.liaisonresources.com/jobs/99499.html for a detailed job description and to apply for this position (Jr. Media Buyer – Job #99499). We respond promptly to all candidates who apply with us online, so please no phone calls or direct emails. We look forward to reviewing your qualifications! Liaison is an equal opportunity employer.